The seminars on allergen-specific immunotherapy entitled “From Leonard Noon to novel vaccines targeting to dendritic cells” have begun. They are organized by Prof. Eduardo Martínez-Naves (Dept. Immunology) and Prof. Oscar Palomares (Dept. 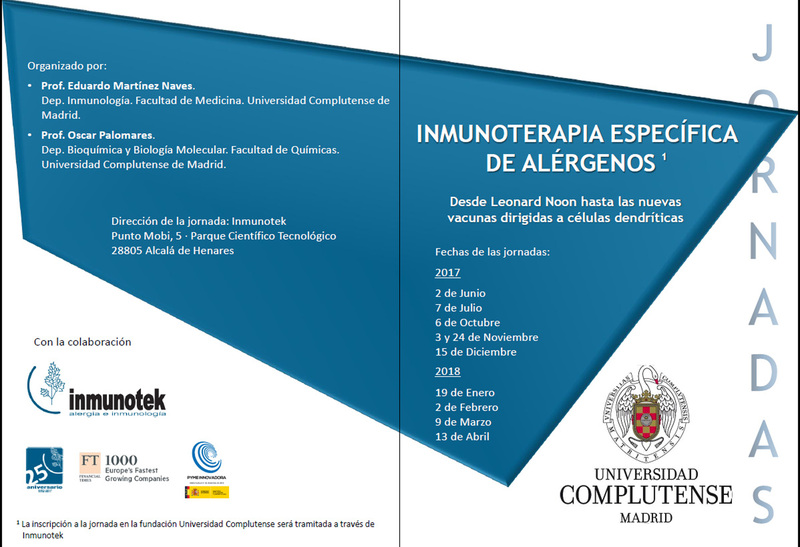 Biochemistry and Molecular Biology) of the Complutense University of Madrid. INMUNOTEK supports this initiative and participates with the speakers Dr. Enrique Fernández-Caldas and Dr. Jose Luis Subiza. In these seminars the new concepts on allergen-specific immunotherapy based on vaccines targeting dendritic cells are updated.